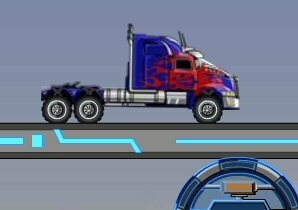 Description: Optimus Crossing Bridge game You have a chance to play the role of a bridge builder. But it's not about working hard, you have to think of projects and schemes: creating a stable and safe bridge is not an easy task. Switch your imagination on, and use the knowledge of mechanics to help the truck go further.